Rick Riordan.. that guy has an amazing way of making characters come to life. Like the first book in the series — The Red Pyramid — the chapters alternate between two different points of view: Sadie’s and Carter’s. They both have such different and vibrant personalities — it’s like you can literally feel them jumping off the page and speaking to you in real life. As a huge mythology/Egypt buff, I enjoyed this book a lot — just like the first one. Naturally I can’t help but compare these books to Rick Riordan’s other series, Percy Jackson & the Olympians. 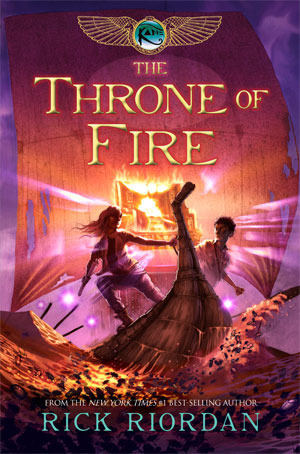 I still like Percy Jackson more than The Kane Chronicles, but The Throne of Fire is certainly a great read. 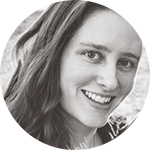 It’s packed with adventure, kids saving the world, Egyptian mythology, and magic! Although I must say, I’m not fond of the character Bes. His personality was fine, but I don’t like his character.. or more specifically, his ‘godly abilities.’ He’s a dwarf god who basically frightens off monsters with his embarrassing, wearing-nothing-but-a-speedo attire. He’s not a proper fighter, he just naturally scares people/monsters/gods with his horrifyingly ugly appearance. For me, that was just a little too.. oookay weird (if you know what I mean). I loved Sadie’s boy obsession and how she struggled between Walt (one of her trainees) and Anubis (LOL!). She’d be describing how she’s in grave peril and then suddenly go into long descriptions about how handsome some guy is. But of course, I love boy drama and romance in all my books! I’m totally rooting for Anubis — sorry Walt! In short, I liked the book quite a bit, but I didn’t love it so much that I couldn’t put it down. It took me a few days to get through it just because I wasn’t glued to the book. Although once I got to the last 60 pages or so, things really got intense and then I couldn’t put it down and stayed up until 3am reading and writing this review!